A sampling of what's in my cabinet. Once I understood the science behind homeopathic medicine, I was anxious to build my own medicine cabinet. Instead of purchasing a pre-made kit, we have remedies for the ailments we see the most often. Arsenicum Album: Heartburn, Nausea, Retching, Vomiting, and Irritable stomach. Chamomilla: This remedy is excellent for irritable babies. It’s a main ingredient in teething tablets and is beneficial for those babies whose teething pain is only lessened when they are held. Belladonna: Relief for fevers that have hot, flushed skin, restless sleep and dry throats with an aversion to water. Puslsatilla Nigricans: For those highly emotional, weepy, easily discouraged days. Also beneficial for thick yellow mucus especially abundant in the morning, and for ear infections with thick discharge and deep pressure. Sepia: Helpful for nausea in the morning before eating; acid indigestion with a bloated abdomen; urge to vomit after eating. Sulphur: Helps calm skin rashes and Eczema flare ups. Euphrasia: Pink eye and general eye irritation. Kali Mur: Colds, Thrush, Sinus and Ear Congestion, White mucus/discharge. Apis Mel: This remedy is especially beneficial for inflammation; insect bites and stings; and even sore throats. 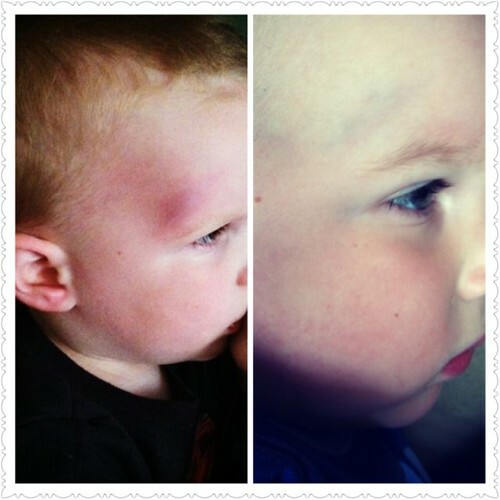 Left: Just prior to a dose of Arnica Right: Less than 12 hours after taking Arnica, only a faint bruise remained. Arnica Montana: My most favorite of all the remedies. It can be used to soothe bruises, aches, sore muscles and reduce inflammation. I have pellets and a salve and use it regularly. I actually took it while I was in labor with Sylvi and then immediately after for a whole day and had very little post-natal soreness. With little ones in the house, Arnica has become my absolute favorite remedy. With homeopathics, if the remedy doesn’t work, then odds are, you weren’t taking the right one. Each remedy is very specific, and you may need to do some searching to find the right one for your case. I took Nux Vomica throughout my pregnancy with my son, and while it helped from time to time, I still wound up being heavily medicated. After some inquiry, I think that I should have tried the Ipecacuanha, as it is for persistent nausea and vomiting. Allopathic medication serve to suppress the symptoms, not heal them. The doses are based on the half life of the chemicals within the human body. Homeopathic medications are given on an as needed basis. They give you the power over your dose and your needs. 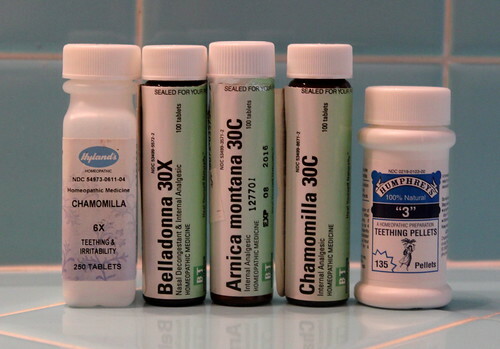 Homeopathic medications have different potency scales: X and C. X (the Roman numeral for 10) means that the specific homeopathic medicine was diluted 1:10 during the potentization process. C (the Roman numeral for 100) scale means that the medicine was diluted 1:100. X and C are two different ways of manufacturing the remedy. Traditionally, the X scale is used in the US, but you can find both X and C through most retailers. 30C and 30X remedies have both been through the dilution and succussion processes 30 times, however, the 30C is more dilute and therefore considered more potent. Most homeopathic medicines are designated by the FDA as “over the counter” drugs, and are easily found in health food stores and some general retailers. Because homeopathic medications are not acting against the body chemically, they do not have the power to cause any sustained damage. As a result, homeopathic medicines are a wonderful choice for mothers, babies, children and even pets. Homeopathy is very powerful when used appropriately, so don’t hesitate ask questions. 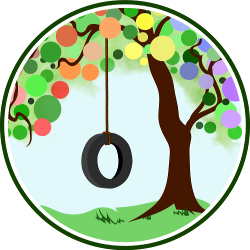 The National Center for Homeopathy is an excellent resource if you don’t have access to a knowledgeable practitioner. Do you use homeopathy in your home? Which remedy is your favorite?